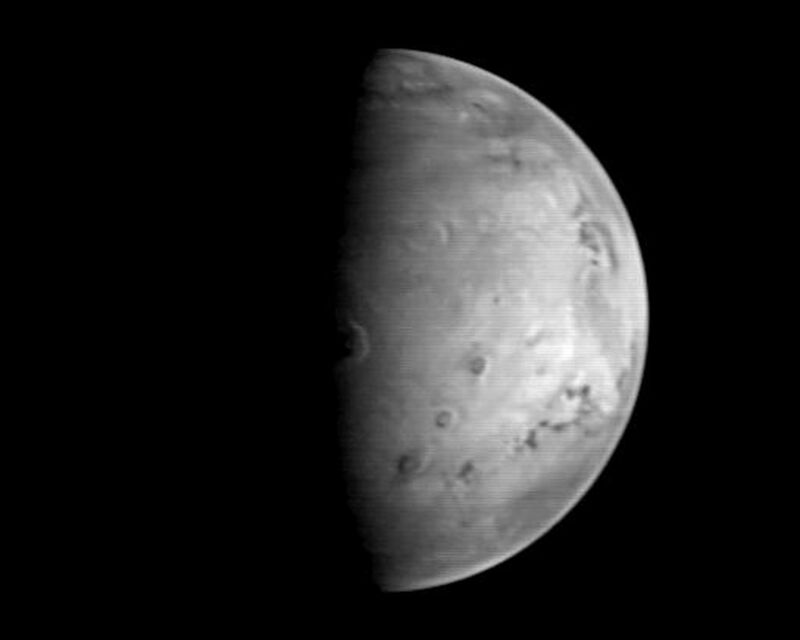 This image, the last in sequence of 8 taken by the Mars Global Surveyor (MGS) spacecraft prior to its arrival at Mars on September 11, 1997, shows a spectacular view of the large volcano, Olympus Mons, very close to the morning sunrise line (called the terminator). Taken early in the morning of August 21, the view clearly shows the summit crater (the caldera) and the 3,000 m (9,800 feet) high escarpment that surrounds the base of the 25,000 meter (82,000 feet) high, 550 km (340 mile) wide volcano. To the right of Olympus Mons are three other large volcanoes (Ascraeus Mons, top; Pavonis Mons, middle; Arsia Mons, bottom). 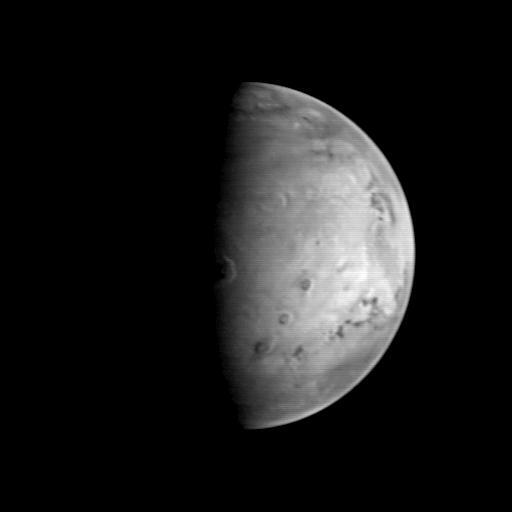 The image is centered near 23.6° N, 127.2° W, and was acquired when MGS was 5.38 million kilometers (3.34 million miles) from Mars. At this distance, the MOC's resolution is about 20 km per picture element, and the 6800 km (4200 mile) diameter planet is about 340 pixels across. 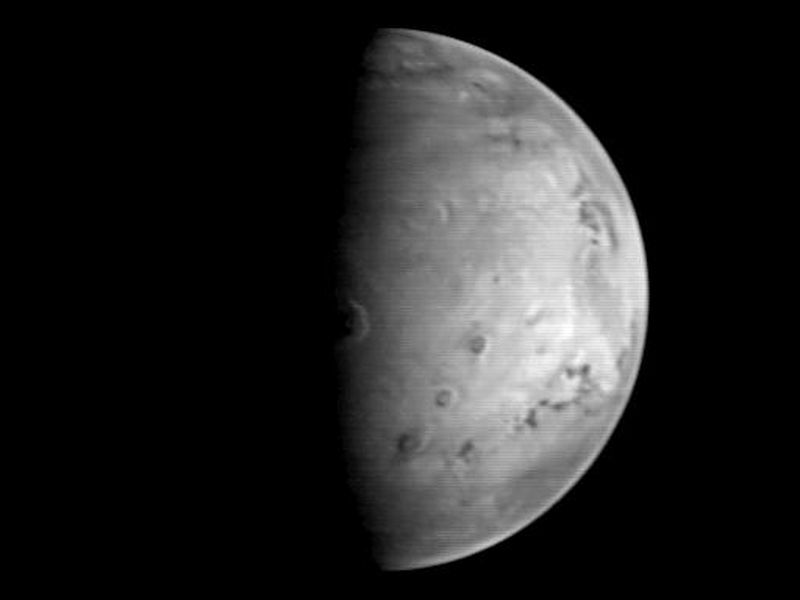 In the 46 hours between the first and last images in the sequence, the diameter of Mars in the pictures grew by almost 10%. Malin Space Science Systems and the California Institute of Technology built the MOC using spare hardware from the Mars Observer mission. MSSS operates the camera from its facilities in San Diego, CA. 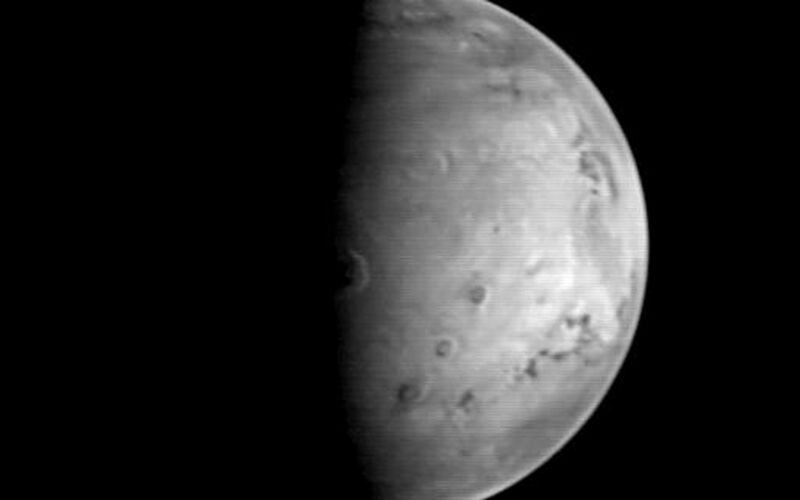 The Jet Propulsion Laboratory operates the Mars Global Surveyor spacecraft with its industrial partner, Lockheed Martin Astronautics, from facilities in Pasadena, CA and Denver, CO.